We Really Love A Princess Party! Imagine going to work being told you’re lovely your dress is lovely and you are beautiful…. Did you know you can be dressed like a princess and still be having the best time ever! We’ve seen princesses dancing their heads off. We’ve seen at our princess parties, princesses singing their hearts out and the mini royalty worming on the ground under the limbo poles! 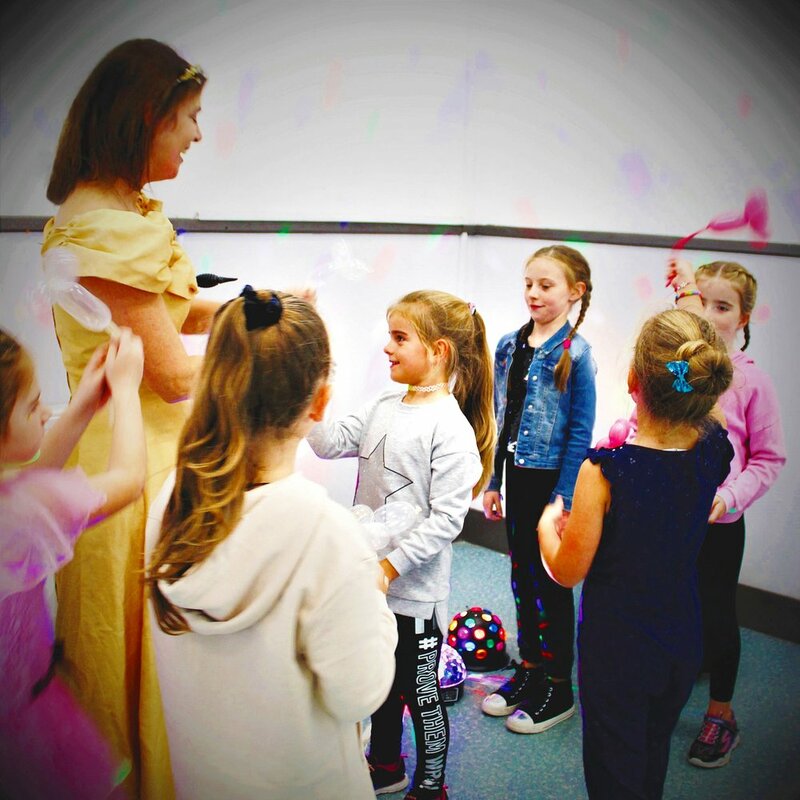 Being a Princess Party Entertainer is really good fun and we really love our jobs. Which is why we are absolutely reliable! We call ourselves Party Princesses! We love to see a few knights there too joining in on the craic.